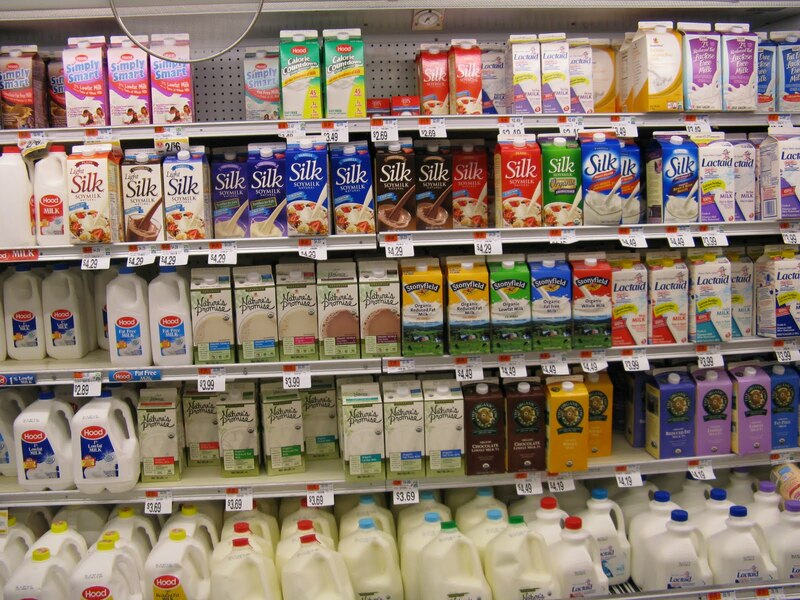 Time for shopping in a grocery store… in the US… in Germany!! Today I talk about my experiences in a US grocery store and compare it to a grocery store back at home in Germany. The first thing I noticed when entering a US grocery store for my first time was the different size compared to a German store. I was confused because there were so many varities for one product that it became very difficult to find the right one. In Germany the grocery stores usually offer just a few different varities for a product which seems absolutely enough for German consumers. 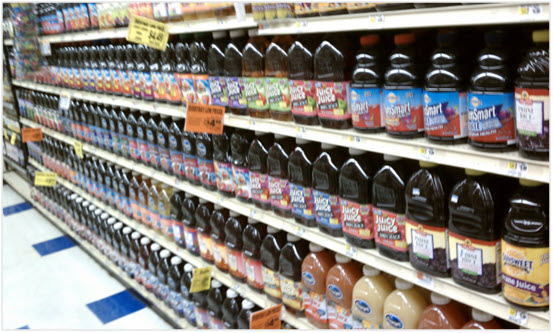 In the US it seems that people would be afraid if they had just a few choices for one product. For this reason the orientation in a US grocery store was not as easy as I’m used to know from Germany. 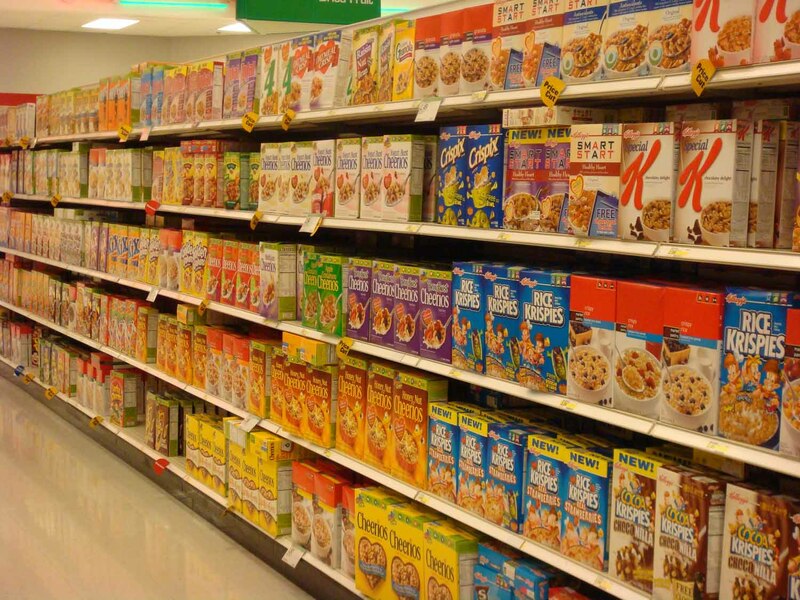 The following examples of cereals, milk and soda should give you an impression as I felt during my first times in a US grocery store. The picture should give a reason why a shopping trip in an US grocery store usually needs more time for the same amount of products as it needs in Germany. An other experience was the situation on the cash point. After the scanning process for all my products suddenly a guy started to put every of my products in a bag, which is completely different to Germany where you have to take care on your own about getting your products in a bag. Actually the confusing issue was the fact that I got a an own bag for every product means I bought nearly 10 different products resulted in getting 10 bags. In Germany I used to know a completely different situations. 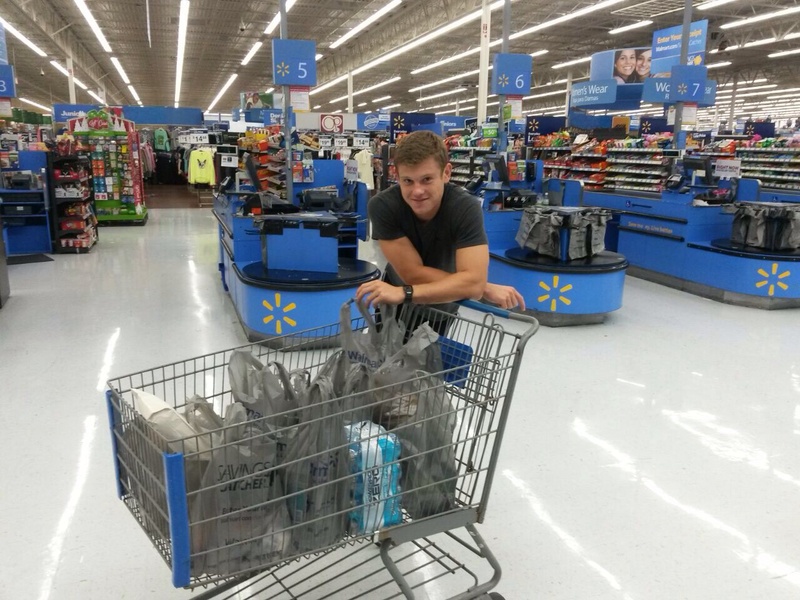 Most of the grocery stores charge bags customers need for their products. That’s why most of German consumers take their own bags to the grocery store. Time for going to school… in Germany!! Today I present you some key facts about the German school characterization. The Grading system looks different to the US system. The German grading scale runs from 1 to 6, with one being the best grade and six the worst. Poor grades in several subjects can result in a student having to repeat an entire school year. The German class schedule looks more like a college schedule because it is not the same every day. Some classes take place three times a week, while others are only two days a week. In comparison to the US having around 180 days school year, German students have to attend for 220 days in an academic year. Moreover German students only get a six week summer vacation, but they have more frequent vacation breaks during the school year. Also there are different school vacation dates across the country. In order to avoid massive traffic jams, German schools in the 16 states have a staggered vacation schedule that rotates each year. 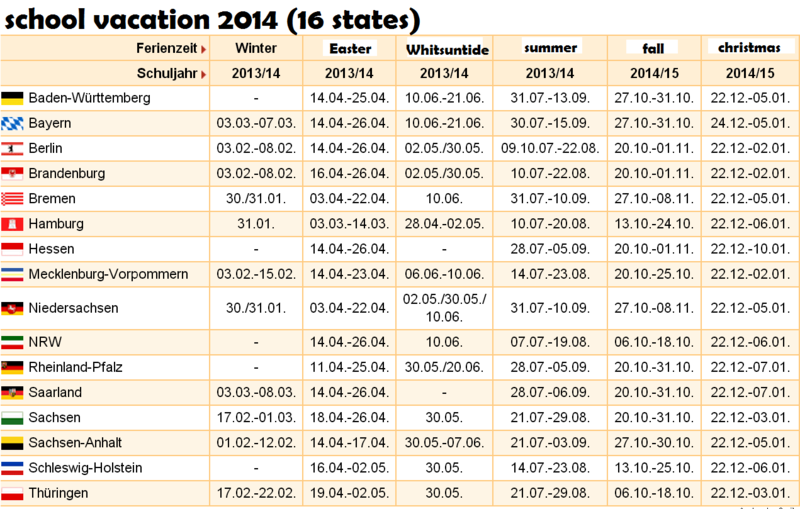 One year schools in Berlin may begin their summer vacation in June, while those in Bavaria begin in July. Another year it may be the reverse. Another difference to the US is the issue about school trips, that are often more ambitious and more extensive in Germany. A typical English class in Germany might have an annual trip by bus to London with their teachers for a week. Besides that having school busses in Germany is unusually. In most German cities and towns, pupils walk or use publich transportation to get to an from school. Time for enjoying sports… in the US… in Germany!! Today I want to talk about differences in prefering sports. The popularity ranking of sports is very different between the USA and Germany. 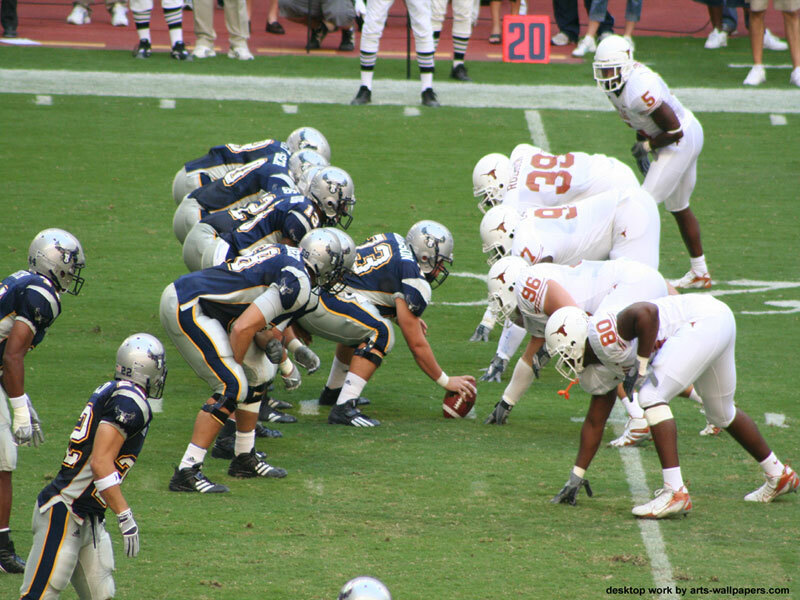 American Football is the most popular sport in America. Football is also the 9th Most Popular Sport all around the world. The biggest competition in the US is organized under National Football League(NFL). Americans are not just watching the Football at their homes. 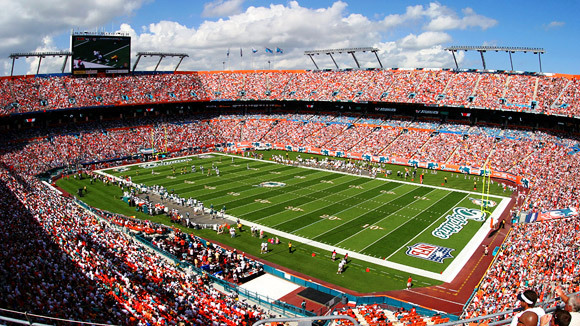 Fans are coming by thousands to watch games on stadiums.In 2012 the NFL had an average attendance of 67,604 fans at each game, that is more than any other sport league in the world. Basketball is the most popular sport in the US after Football & Baseball. The US Basketball’s Competitions are organized under National Basketball Association (NBA). In the NBA there is an average attendance of 14,000 fans per match. When looking to the German preference in sports, you have a completley different frame. With a total of 26,000 clubs and 178,000 teams the German soccer association (DFB) is the largest individual body in the German Olympic Sports Federation. The sport in Germany is financed by means of state funding and state contributions, voluntary service, private sponsors and membership fees. Soccer in Germany is the number one attended and practiced sport. Besides the national league, the Euro cup and the FIFA World Cup has much attention among its population. Germany’s top level soccer league, known as the Bundesliga, has the highest average attendance of any association soccer league in the world; among all professional sports leagues, its average attendance is second only to American Football’s NFL. Furthermore handball is a major team sport being played and watched in all of Germany. The German Handball Bundesliga is considered to be the most competitive professional league in the world. As a spectator sport it ranks popular in smaller cities around the country and draws attention comparable to other indoor sports such as ice hockey or basketball. Today I’m talking about the differences of building friendships in the US and in Germany by focusing on formalities and informalities. Americans almost always address people they have just met or people they work with with their wirst name. They may not even know that person’s last name. That is completely different to Germany, because the Germans usually address people they have just met or people they work with with their last name. An American may be offended or at least surprised if addressed as “Mr. Smith” rather than “Jack”. 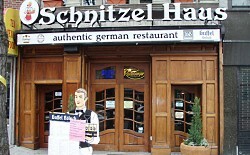 In contrast the Germans may be offended if addressed as “Karl” rather than “Herr Schmidt”. Moreover the English “you” is used for everyone, making no distinctions for social standing or levels of formality and informality. 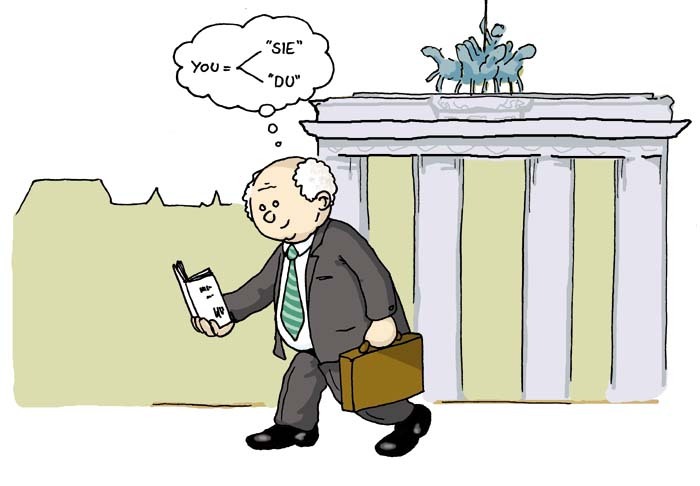 But the German language makes a distinction between the formal you (“Sie”) and the familiar you (“du”), which is very important to know for foreigners especially when doing business in Germany. Also the English word “friend” covers a much wider range of acquaintance levels than German word “Freund”, that implies a long, deep friendship, not a casual acquaintance. In German the words “friend” and “acquaintance” are never used interchangeably. If someone asks an American what her/his name is, the reply will usually be the first name, Germans would reply with the last name. Concerning this case Americans are quick to use first names and develop friendships. They may feel uncomfortable if familiarity is slow in coming, but Germans want to take their time before using first names and developing a close friendship. Today, I give you some inside facts about the differences in having dinner in the US and in Germany. The first difference occurs when you enter a restaurant. In the US it is common to wait to be seated by host/hostess. In contrast in Germany you can choose a seat yourself. Getting an automatic glass of water, which is common in the US, is unusually in Germany. Besides all of soft drinks are served with lots of ice in the US. Most of Germans do not like having ice in soft drink, which is the reason why soft drinks usually served without ice in Germany. Another difference is the way of giving the tip. In the US the tip is left on the table or added to credit card bill, in comparison to Germany where the Tip is given directly to food- server and credit cards are not always accepted. In the US there are many kinds of international cuisine and restaurant available in contrast to Germany where can be found more limited selection of world cuisine, especially Asian, Indian, Greek and Italian restaurants are very widespread. Furthermore a food- server in an US restaurant will gladly put leftovers in a box to take home, which is less common in Germany. Concerning the fast food, Germans like to eat “Turkish Doner Kabap” a sort of shish kebab in pita bread, which is one of the widespread fast foods in Germany along McDonald’s, Burger King and Subway. In the US there can be found a vast choice of fast foods, such as Tacobell, Wendys, Dunkin Donuts, Denny’s as well as McDonald’s and Burger King. In general for a German it would be an experience having dinner in an US restaurant. The same applies for an American having a dinner in a German restaurant. 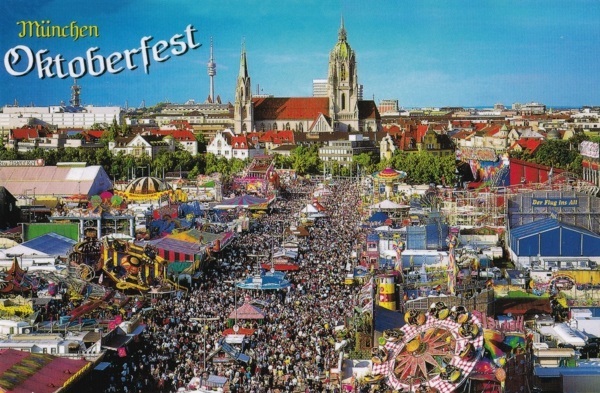 Time for enjoying a beer… in the US… in Germany!! 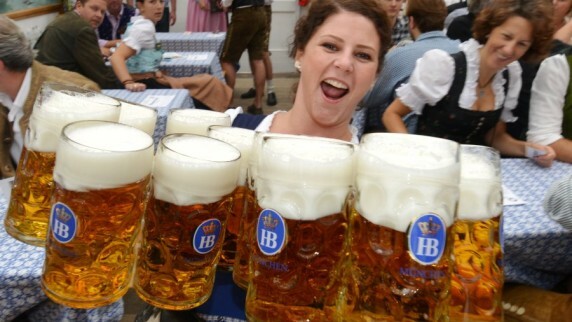 Especially during this time the Germans enjoy a lot of beer because of the Oktoberfest, but in general they like to drink their German branded beer. 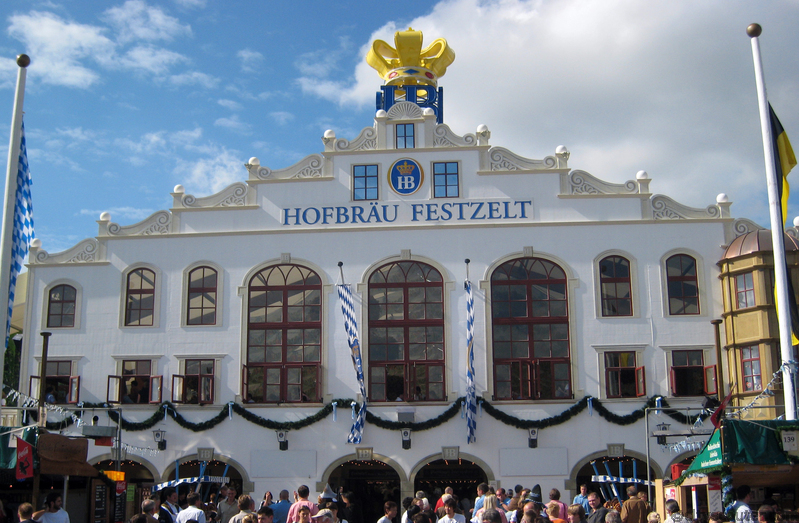 There are several kinds of beer brewed in Germany. In northern parts of Germany the beerbrand “Beck’s” brewed in Bremen is very popular. 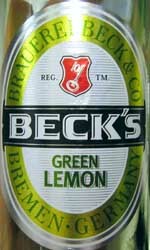 Particularly the different offered types of “Beck’s” such as “Beck’s Green Lemon” or “Beck’s Ice” are very popular with young Germans for going out. 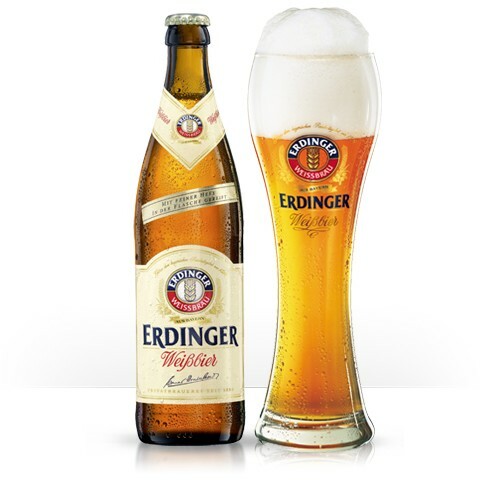 Besides the “Paulaner” beer brewed in Munich, the “Erdinger” beer brewed in Erdingen near to Munich or the “Krombacher” beer brewed in Krombach near to Cologne are the most favorite brands of beer for watching soccer games or having a BBQ in Germany. 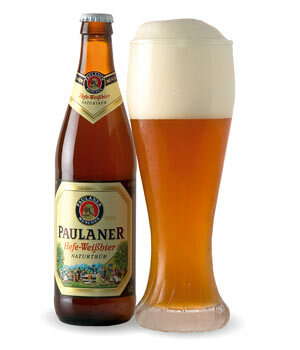 Especially the taste of “Paulaner” weiss beer is nonreversible for the Germans. Unfortunately, I just have found the normal type of “Beck’s” in the USA, and it was very hard to find a “Paulaner”, “Erdinger” or “Krombacher” in a grocery store. I noticed that different kinds of beer of the brand “Budweiser” brewed by Anheuser Busch in St. Louis, IL are drunk by especially younger Americans while staying together with friends or just enjoying the evening. When trying some types of “Budweiser” beer, I noticed many differences in the taste comparison to German brands. I’m convinced Americans would like to drink “Paulaner” or “Krombacher” beer when having more possibilities to find it in grocery stores.